Challenging, pugnacious and stylish, Can Non-Europeans Think? forges a new perspective in postcolonial theory by examining how intellectual debate continues to reinforce a colonial regime of knowledge, albeit in a new guise. Based on years of scholarship and activism, this insightful collection of philosophical explorations is certain to unsettle and delight in equal measure. 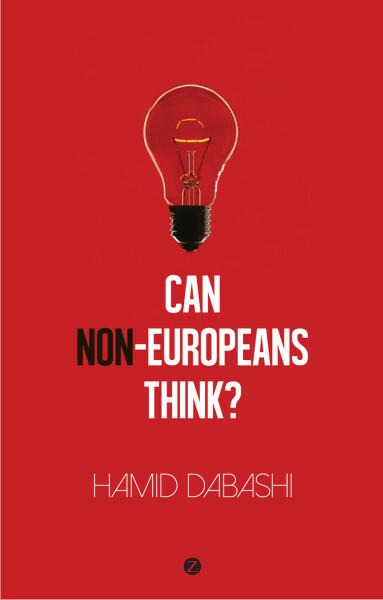 Listen to Hamid Dabashi speak about his book on Jadaliyya’s “New Texts Out Now”. Click here for the full interview. Read a review from Marx & Philosophy on marxandphilosophy.org.uk.